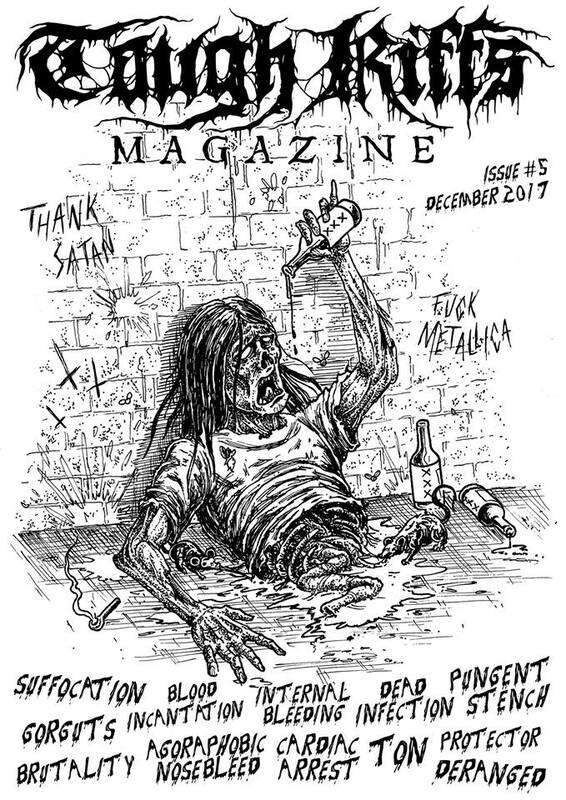 TOUGH RIFFS MAGAZINE presents it’s FIFTH issue! Needless to say that Dima was pretty busy again putting this one together while still holding on to it’s black & white retro design, featuring bands like SUFFOCATION, BLOOD INCANTATION, PUNGENT STENCH, GORGUTS, AGORAPHOBIC NOSEBLEED, CARDIAC ARREST and many more plus several new features on 52 A4 sized perfectly bound b/w pages. And good ol’ Gregory Martinis has taken good care of the cover drawing this time – YAY!